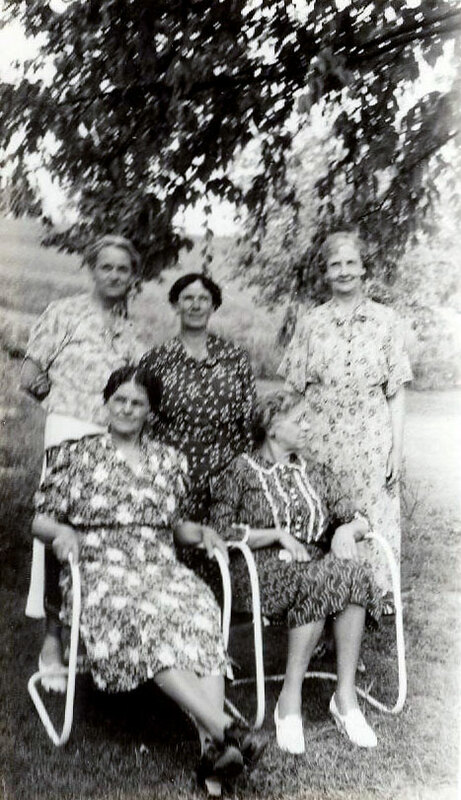 The five ladies need to be identified. We think the lady in the back center is Claire Shattuck and the lady back left is Carrie Wilson. Photo courtesy of Audrey Putnam.